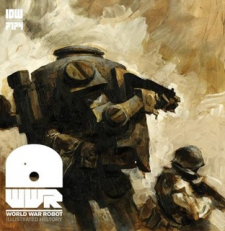 Variety announced today that producer Jerry Bruckheimer acquired the rights to Ashley Wood's WORLD WAR ROBOT project. The piece can be found here (and a mention at Aint It Cool News, along with their, um, interesting Talk-Back comments, is here, too). Please, please, PLEASE,... NO Michael Bay. PLEASE!! !